Earlier this month, a study showed that 23 percent of iPhone users have screens that are currently broken, and the average person has put up with their broken screen for six months. We can argue about the numbers all day, but chances are almost all of you are afraid of breaking your device screen. Drop your phone from just a few feet and you’re done. It’s over. Your screen has broke. Can you fix it? How do you fix it? Who do you contact? How much will it cost? These are the kind of questions that can ruin your day, your week, your month, or even your year. We all carry around a smartphone and they’re all covered in highly breakable glass. Sometimes its soda-lime glass and sometimes its made of fancy Gorilla Glass, but even the best screens are still very easy to crack, break, and shatter. It’s no fun, but it may soon be a thing of the past. At Mobile World Congress, I stumbled upon one of the coolest new tech innovations in a very long time. And guess what? It’s as old as the earth itself. 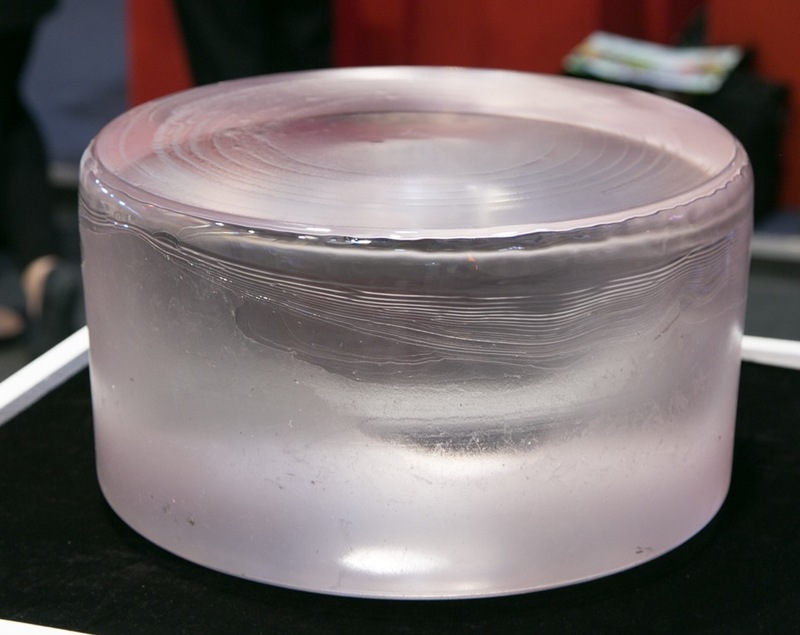 GT Advanced Technologies is a company that manufacturers furnaces that melt down sapphire, and is at MWC this year to tell everyone that the sapphire industry is getting into the gadget screen business in a big way. 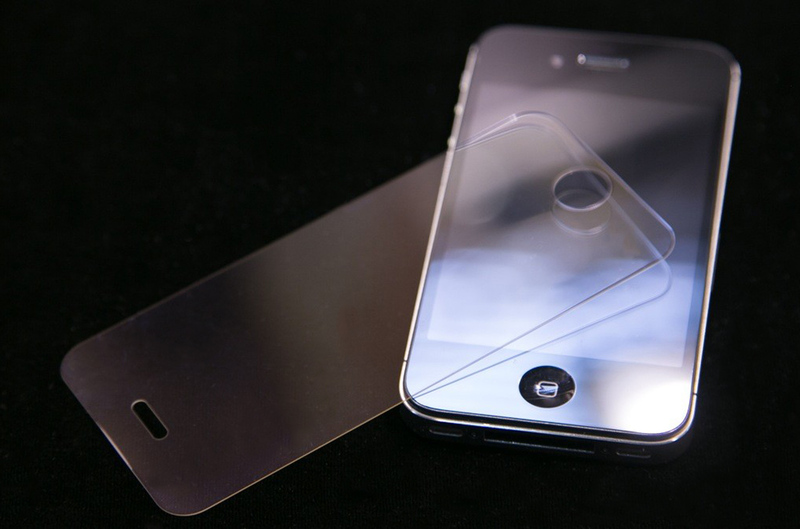 Your next iPhone or Android device may very well have a sapphire screen. And it could save you a trip to some shady guy’s basement to fix your screen. I was easily able to scratch the Gorilla Glass, and shatter it, but couldn’t make a mark on the sapphire. GT Advanced claims that its sapphire is about three times stronger than most chemically strengthened aluminosilicate glass, including Gorilla Glass, Dragontrail glass, soda-lime glass, and Xensation glass. GT Advanced demonstrations were compelling, and the science seems to back it up. Sapphire is a naturally growing crystal and is the second hardest substance on earth. It’s so hard, only diamond-tipped saws can cut it. GT Advanced grows sapphire and then melts and hardens them into ‘boules,’ which are 115 kilogram, or 254 lb. clear cylinders. Those cylinders are then cut into cubes, which are then chopped up into slices and shapes as thin and wild as you can imagine. Sapphire can be made as clear as glass and as thin as you desire, and is the perfect material for a phone or tablet screen because almost nothing can scratch it. The crystal is regularly used in things like jewelry, watches, military windshields, LED TVs, and LED light bulbs, but the sapphire industry is a few years late to the game when it comes to mobile touchscreens. Right now, the only phone that uses a full sapphire screen is the Vertu TI, an $11,000 Android device. This is partially because of price: A sapphire screen costs a phone manufacturer about three times more than a Gorilla Glass screen, but GT Advanced doesn’t believe cost will be a barrier. Apple’s iPhone 5 uses a sapphire lens for its rear camera. But even if it takes a while to get phone and tablet makers like Apple and Samsung onboard, you won’t have to wait too long. Squiller already showed us prototype sapphire iPhone 5 screen protectors and replacement screens that will add next to no bulk to your device, and be available for anyone to buy “next year at this time,” or early 2014. There are plenty of ways phones need to improve their durability in the years to come, but if sapphire screens take off, we might be able to scratch broken screens off the list. Or, then again, if today’s demonstration was any indication, maybe we won’t. Update 3-21-2013 by Jeff: MIT Technology Review has brought sapphire screens back into the news cycle today. Verifying much of what we reported here, some analysts now believe that sapphire may indeed pose a threat to screen technologies from companies like Gorilla Glass as its price falls in the next few years. “I’m convinced that some will start testing the water and release some high-end smartphones using sapphire in 2013,” Eric Virey of Yole Developpement, a market research firm, told MIT.